In July 2017, I presented a version of this talk on a panel on “Temporality” at the Keystone Digital Humanities Conference (#keydh on Twitter) in Philadelphia, Pennsylvania. The project I discuss here, a digital tour of the Nightingale-Brown House, will debut in September 2017. I’ll update this post with a direct link when we go live! I wanted to start by outlining three of the major questions I hope to raise in this discussion of a digital house tour I’ve been working on at Brown University’s Public Humanities program. This presentation will focus on the details of our particular project, but I hope this overview is useful to people who are specifically interested in the metaphor of the tour in DH as well as anyone who might have thoughts on temporality as it relates to DH work and the interfaces we rely on (or develop) in various initiatives. This talk takes its title from “Days of Future Past,” a 1980 storyline from Marvel Comics’ Uncanny X-Men serial in which a member of the superhero team travels back in time to stop the bleak future she calls home from existing in the first place. “Welcome to the 21st century,” reads a caption box on the opening splash page of #141. Chris Claremont, John Byrne, and their collaborators present readers with a dystopian vision of 2013 and a ragtag team of surviving heroes so desperate that they’re “toying with the basic fabric of reality” in an attempt to travel back in time to literally rewrite history. 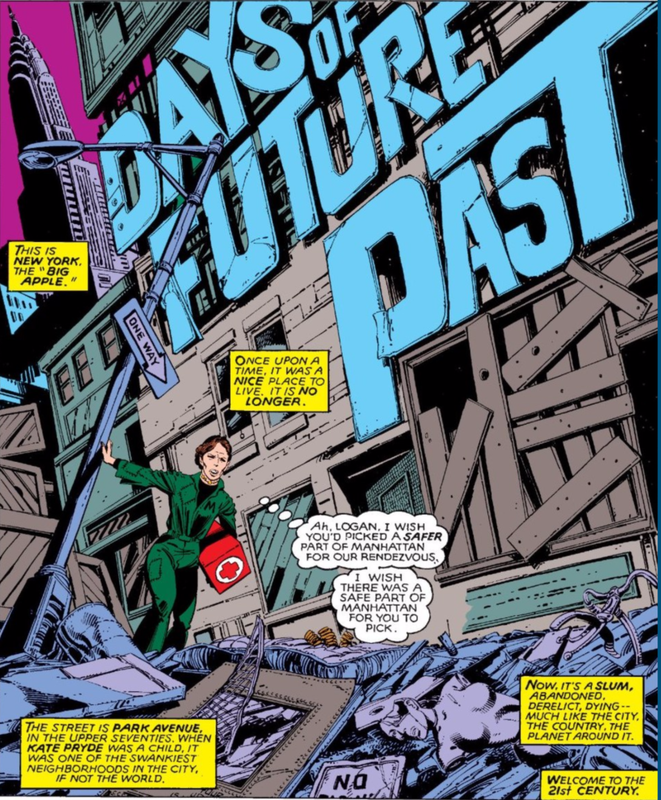 I’ve found the phrase “Days of Future Past” useful when considering the place of temporality in digital humanities projects. Its success, for me at least, is in the way this particularly poetic sequence of words disrupts my sense that the past, present, and future are distinct and discrete things. It demonstrates the exploratory potential and the inherent limitations of speculative thinking, reminding us that our visions of the future are inevitably shaped by the historical and cultural conditions in which they are envisioned, and that they are often reliant upon particular versions of the past. This content was selected for Digital Humanities Now by Editor-in-Chief Laura Crossley based on nominations by Editors-at-Large: Susan Towers, Daniah Almalaki, Isabella Calabretta, Laura, Melodee Beals, Bissan Rafe Duz.